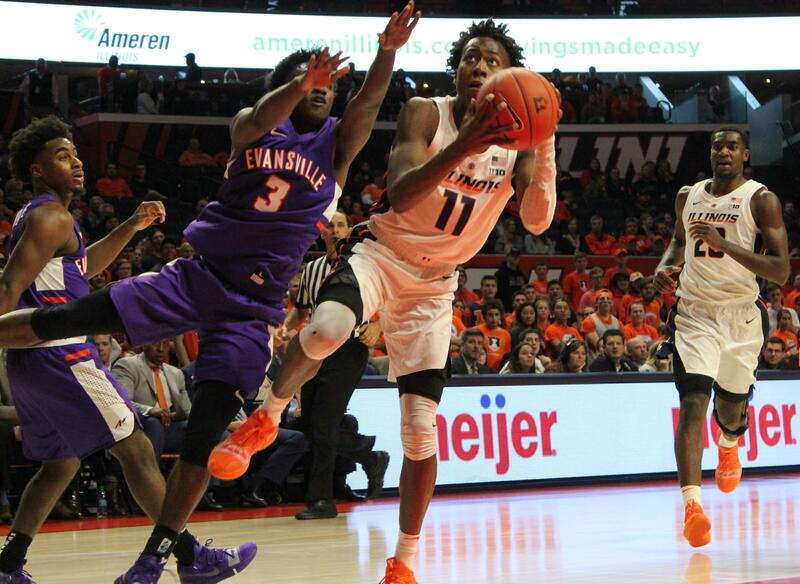 The Illini men opened the 2019 basketball season Thursday night in Champaign, with a 99-60 cakewalk over a diminished Evansville team. Senior Aaron Jordan connected on 5-of-8 three-pointers and scored a game-high 19 points. 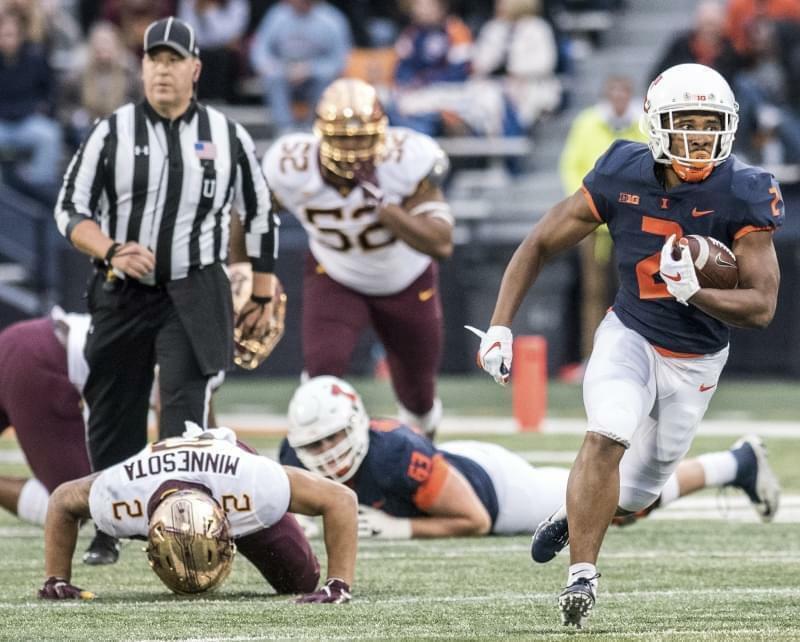 Freshmen Ayo Dosunmu and Giorgi Bezhanishvili led the Illini in razzle-dazzle. Dosunmu scored 18 points, grabbed six rebounds and three steals, and dished four assists in his first college game. Bezhanishvili grabbed ten first-half rebounds and drew a technical foul for trash-talking, much to the delight of the crowd. After the game, he said he the rebounds were a conscious effort, while the foul language was not. Dosunmu said he was proud to play for his home state's team, and coach Brad Underwood praised him for that choice. Andres Feliz scored 16 points for the Illini, Kipper Nichols added 13 and Trent Frazier 10. The Purple Aces got 14 points from K.J. Riley, 13 from Marty Hill and a dozen from Shea Feehan. They played without forward Dainius Chatkevicius, who's suspended for the first three games of the season. The Illini host Georgetown next Tuesday before traveling to Hawai'i for the Maui Invitational during Thanksgiving week.